Get Out was a huge hit in early 2017, generating over $255 million dollars at the worldwide box office – on only a $4.5 million dollar budget. 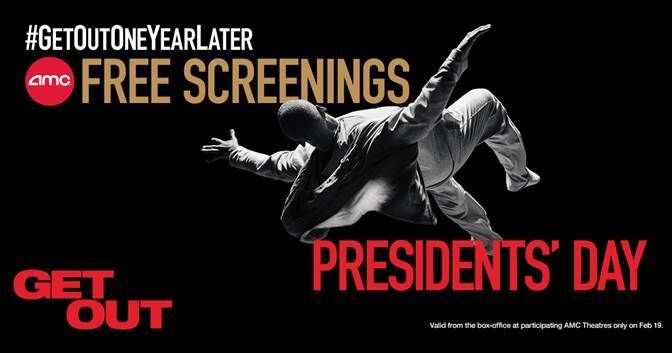 To thank fans of the film, Jordan Peele and Universal are partnering with 55 AMC theatres across the country to offer free tickets on Presidents’ Day. The film has been nominated for four-time Academy Awards, including: Best Picture (Jordan Peele, Jason Blum, Sean McKittrick), Best Actor (Daniel Kaluuya), Best Director (Jordan Peele), and Best Original Screenplay (Jordan Peele). It also marks Peele’s directorial debut. 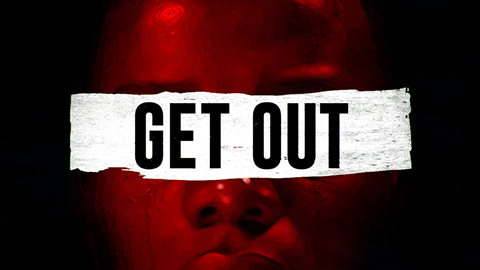 All fans have to do is show up at a participating AMC on February 19th, and request a ticket the 7:00 p.m. special showing of Get Out. Tickets will be given away until the theater reaches capacity. To find out if your local AMC is participating, visit getoutoneyearlater.com.